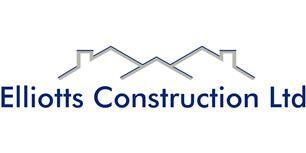 Elliotts Construction Ltd - Builder based in Hornchurch, Essex. Elliotts Construction Ltd is a family run business based in Essex. We provide all aspects of building work to a high quality standard in and around Essex. We have very experienced and qualified tradesmen, who have been working in the domestic building trade for over 30 years. We undertake large and small works, so if you would like a free estimate just call, message or email us. Call or email Callum or glen now for free estimates.